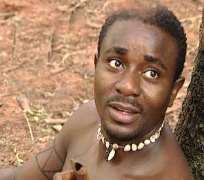 A Federal High Court in Lagos on Wednesday fixed March 24 for hearing of an originating summons filed by Nollywood actor, Emeka Ike, against the Actors Guild of Nigeria (AGN). Justice James Tsoho fixed the date to enable the AGN file a counter affidavit in response to the plaintiff's suit. The suit brought by Ike against the actors guild borders on issues concerning the leadership of the group. When the case was mentioned, counsel to the plaintiff, Malcolm Omirhobo, told the court that it was fixed for hearing of the plaintiff's summons and prayed the court to proceed. Tsoho, however, refused to hear the suit, noting that the defence was absent in court and had yet to file a response to the matter. The judge, therefore, adjourned the case till March 24, to enable the AGN file its counter affidavit to the suit. Ike had gone to court on July 25, 2013, to challenge the formation of a group of executives coined “National Unity,” to run the affairs of the guild. The plaintiff is also seeking an order of court, reviewing the 2007 Constitution of the AGN as it relates to the tenure of members of the Board of Trustees. He said that the board, comprising Segun Arinze, Prince Ifeanyi Dike, Emmanuel Oguguah, Murphy Stephen, Sunny McDon and Okey McAnthony, had remained in office since July 13, 1999 when the guild was incorporated. Ike is therefore seeking an order, setting aside the appointment of Segun Arinze as President of the guild and reviewing the provisions of the guild's constitution.